Claiming the right to be petty and picky, I disagree. One, there’s no such thing as a bad day of fishing. Two, if there were, not that I would know, nothing could make it palatable. I love bass fishing. It has provided me with innumerable moments of thrill, relaxation, frustration and renewal. I don’t particularly like the work of preparing to fish, but I do it knowing that the moment I’m on the water I’ll feel calm, anticipation, joy and all the multiple emotions that make us click as people. I feel centered when I’m near or on water. I feel human. As for those innumerable moments, fishing has been the source of both wonderful and terrible moments. Fishing had a small, tiny, miniscule role in a temporary breakup when my wife and I were dating. Something to do with my taking a fishing rod along on a romantic walk at night around a lake. We recently talked about that night, looking back at it through nearly 14 years of marriage. She remembers wanting to kill me. I remember I didn’t catch anything on the Jitterbug I was throwing. Obviously, we’ve gotten over it. Volunteering for the Invasive Management Program has been the gateway to wildlife experiences for the volunteers in Matthew’s article. Fishing has been the gateway to nature for me. Fishing has been my gateway to nature and wildlife encounters. Somewhere outdoors is something that can be your gateway to nature. Seek it by visiting the parks. Find it, hold it and protect it. It will make you feel centered. It will help you feel human. 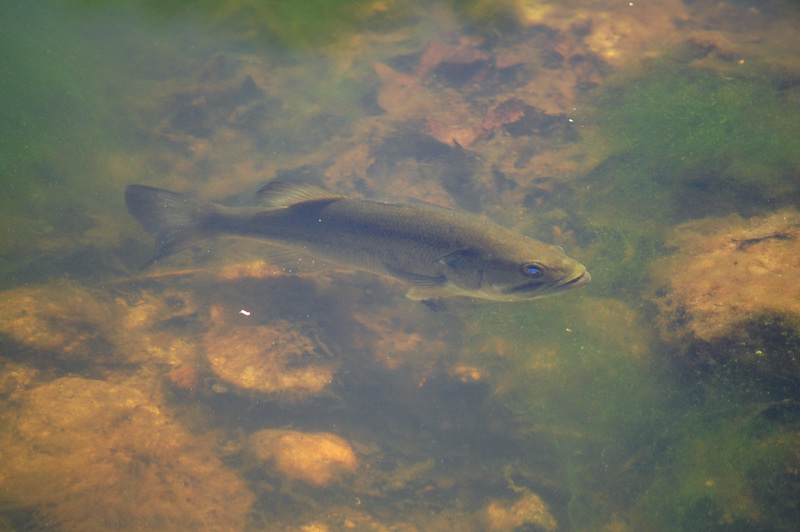 This entry was posted in Uncategorized and tagged bass fishing, Fairfax County Park Authority, fishing, IMA, Invasive Management Area, Potomac River on August 16, 2012 by Fairfax County Park Authority.